Ahead of the fasting month of Ramadhan, Sharp Electronic Indonesia launched its halal-certified refrigerator, claiming the electronic product was the first halal fridge in Indonesia. Some consumers have been perplexed about the halal label being used on a product that can’t be digested, however the company argued the fridge would store the foods to justify the label. “What is the meaning of a halal fridge? Does it mean the raw material of the fridge is halal? I do not understand. Is it only a marketing gimmick?” Those were some of the questions that came to Ifad Maulidi’s mind when he heard about the halal fridge for the first time. The 23-year old banker always looks for the halal certification in food and beverage products and some cosmetics, but the halal certificate on an electronic product was new for him. The Indonesia Ulema Council (MUI), the institution that issues halal certifications, has seen a rise in the use of the halal label for non-edible products besides cosmetics. In 2016, a hijab brand, Zoya, announced in an advertisement that its hijabs were the first to receive halal certification from MUI. The ad caused controversy because other hijab producers were offended. Later, Zoya’s creative director, Sigit Endroyono, apologized during a press conference in Bandung, West Java, because their ad was perceived as accusing other hijab brands of being haram. However, the controversy surrounding the “halal hijab” did not stop other companies from following suit. More and more brands have acquired halal certificates including Total Almeera halal detergent, Softex halal sanitary pads, Power Cat halal cat food and Medina halal plastic food containers. Lukman Hakim, director of MUI’s Institute for Food, Drugs and Cosmetic (LPPOM) said the institution had begun to receive more requests to assess non-food and beverage products. “I’d like to stress that MUI’s position is to answer questions from clients regarding the halal status of their products. They ask and we answer by conducting an assessment,” he said. Lukman said a halal assessment request for a refrigerator was new for MUI as well. “But since they asked about the halal status of the refrigerator’s raw materials, we have to answer it,” he added. For the refrigerator, MUI implemented the same assessment stages it conducts on other products. There were several criteria assessed, including the halal status of the raw material such as food liner, tray and the possibility of contamination during the manufacturing process. When MUI decided to assess a product, Lukman added, it would only focus on the halal criteria. He said that MUI did not assess a brand’s motives as to why it wanted its product to receive a halal certificate. In Indonesia, the number of products with the halal label has increased every year. The number of halal certified products in 2017 was 127,286, rising from 32,890 in 2012. Marketing expert Yuswohady said the boom in non-food and beverage brands introducing halal certified products was a strategy to win the hearts of the huge Muslim market in Indonesia, which is almost 90 percent of the estimated population of 260 million people. 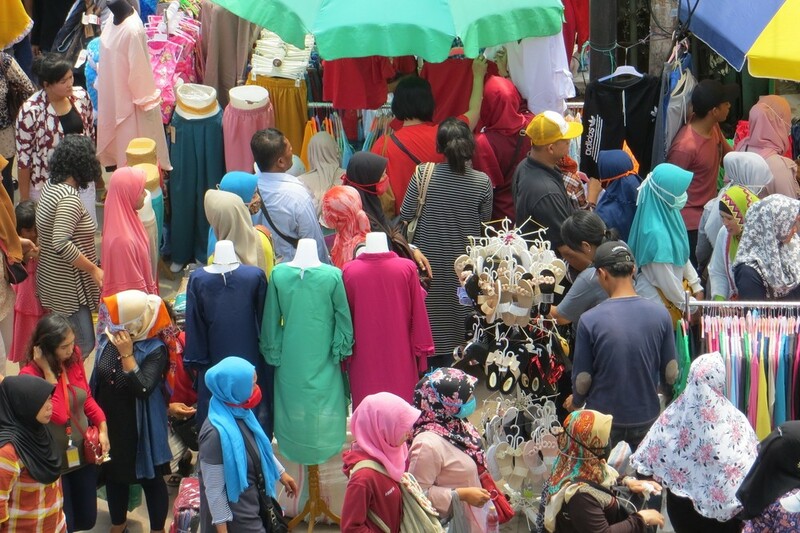 The Muslim market had been bullish since 2010, when the religiosity of Indonesian Muslims began to spread to horizontally, not only vertically, or between humans and God, he said. Horizontal religiosity affects how Muslims in Indonesia express their lifestyle based on sharia, or Islamic values. “Now, Muslims are more concerned with what they wear, how to dress, what they eat, how they manage financing, based on sharia. It is called sharia deepening,” he said. Yuswohady predicted that the trend of halal-certified products would continue to rise until next year, especially because Law No. 33/2014 on halal products mandated that all food and beverage, cosmetic and pharmaceutical products bear halal certificates by 2019. However, halal certification for products other than the three sectors could be a doubled-edged sword for companies. “What Sharp did in launching a halal refrigerator is considered a safe marketing strategy as a refrigerator is still related to food and beverages,” he said. However, Yuswohady warned brands to carefully implement halal marketing because it could backfire. Some customers could think such promotion is just a gimmick.